Developed by the NCR Corporation, the payments group within the company has created a way to withdraw cash from an ATM without having to pull an ATM card out of a purse or wallet. 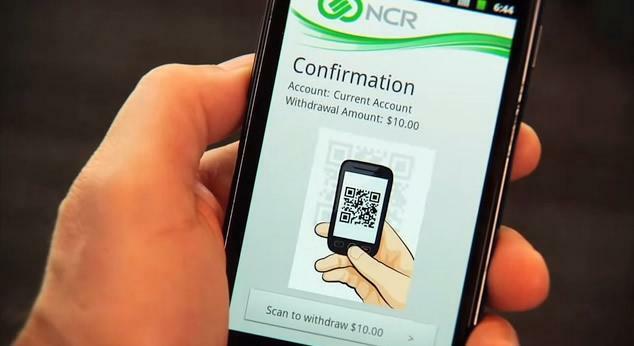 Assuming that a bank customer has an Android or iOS smartphone with a built-in camera, the customer approaches an ATM and launches the NCR application. After the app loads, the customer enters the four digit PIN number tied to their bank account on the smartphone touchscreen. When the pin is accepted, the app brings up all bank accounts related to the customer’s account. At this point, the customer can choose if they want to withdraw money from their checking or savings account. After picking an account, the customer chooses a dollar figure on the smartphone touchscreen. In the NCR example, there are preset dollar figures in addition to a custom option to withdraw a specific amount of cash. Once the dollar figure is picked, the customer taps the scan button to launch the camera on the smartphone. The customer simply scans the QR code on the ATM screen with the camera application. At this point, the transaction is confirmed and cash is dispensed. The customer gets an electronic receipt on the smartphone screen as well. According NCR management, the entire process takes about ten seconds to complete. In addition, someone waiting in line at an ATM could hypothetically run through all the first steps on the smartphone and would be ready to scan the QR code immediately when they reached the front of the line. 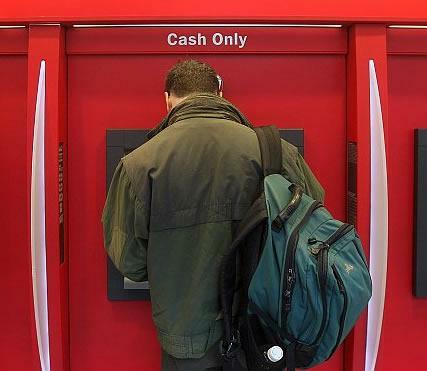 From the bank’s perspective, there’s no new hardware to purchase since the ATM software would only have to display the QR code on the ATM screen. The company argues that this technology also improves safety as thieves can’t utilize ATM skimming devices to collect debit card numbers since the customer has no need for an ATM card anymore.